Transfer in RIB boats to Qassiarsuk. 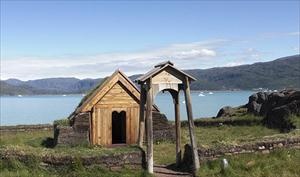 Visit to the Viking ruins followed by 4x4 trip to Tasiusaq, where seven people live in almost complete isolation. Lunch in Tasiusaq and time to explore the area on your own. In the afternoon, kayak excursion in the “Iceberg Bay”. 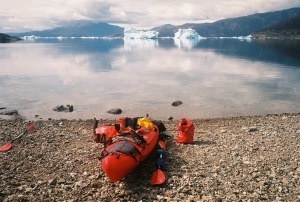 This is a 2-hour sea kayaking trip suitable for beginners, among icebergs in one of the safest and best places to kayak in Greenland. 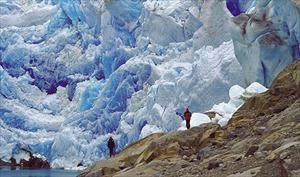 The Greenland Ice Cap produces 250 millions tons of ice every year when icebergs break off the glaciers. Close to Narsarsuaq the Qooroq Glacier fills up the fjord with beautiful icebergs. 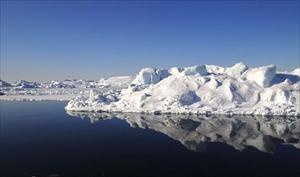 We cruise between the icebergs and go as close to the calving glacier as possible. Here we turn off the engine to enjoy the silence only disturbed by the creaking ice. Guide service and light refreshments included. This guided hike is suitable for participants that are able to walk at least 6 km in mountain terrain. 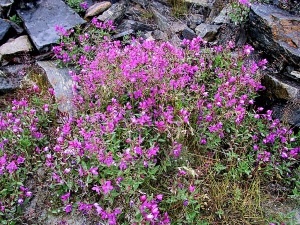 We go by bus as far as the road will take us and continue by foot through the Flower Valley with its colourful sub-arctic flora. Lunch at the top of a 300 m high mountain with views over the glacier and the Ice Cap. For participants in good physical shape it will be possible to walk down and touch the Ice Cap. We drive by bus to the beginning of the ridge. Here we find a great varity of flowers and plants. 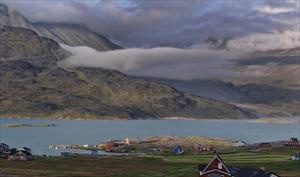 From the top we have an amazing view over the Flower Valley, the river, the fjord and the Narsarsuaq Glacier. This tour is guided.